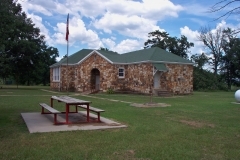 The Haw Creek campus consists of two WPA structures: a three-room school building and a teacherage. 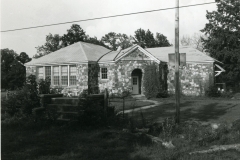 The school building is a single story, L-shaped (27′ x 60′ vertically, and a 15′ x 27′ extension) structure constructed of untooled and uncoursed native sandstone. Beneath a gable that extends from the valley of intersecting hipped roofs, the front entryway is recessed behind an arch. Wood sash windows with pre-formed concrete sills reach to the eaves. The structure is most attractive. Originally a single story, wood frame structure with clapboard siding, the teacherage is situated some 125 feet south of the school. 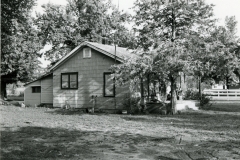 The roof is gabled, and a small intersecting gable covers the porch leading to the front door. The building measures 28 feet by 28 feet. Wood sash windows are placed singly or by twos. On its rear has been attached a lean-to structure, and new siding has been applied all around. 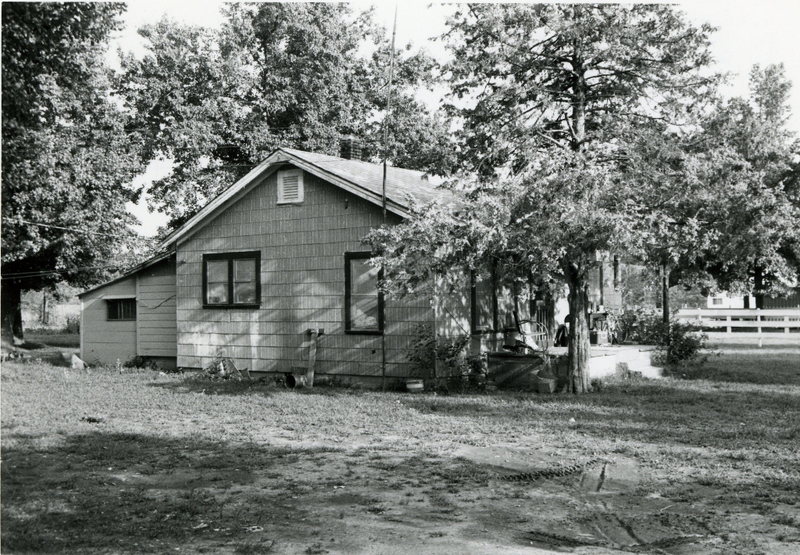 These alterations notwithstanding, the essential integrity of the small bungalow remains. 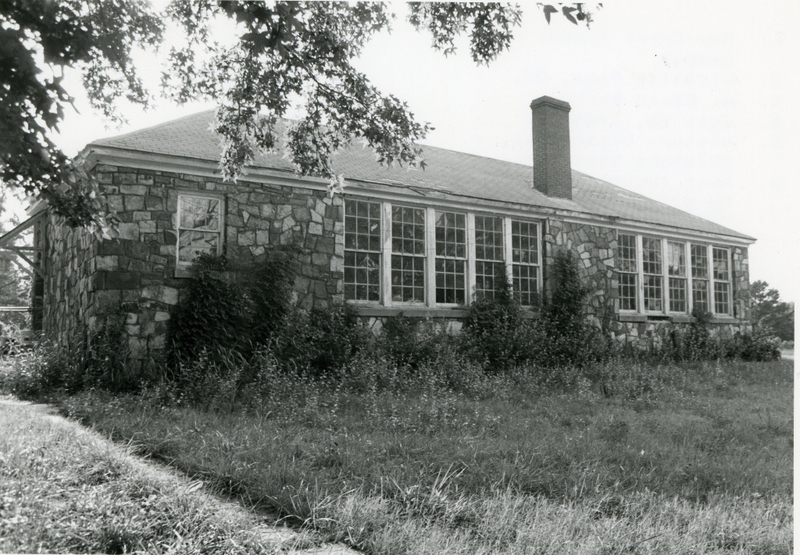 The Haw Creek buildings are significant because construction of them provided work opportunities for unskilled and unemployed laborers in a rural and remote area hard hit by the failure of the economic system and because it created a new environment conducive to learning for students greatly isolated from the rest of the world. 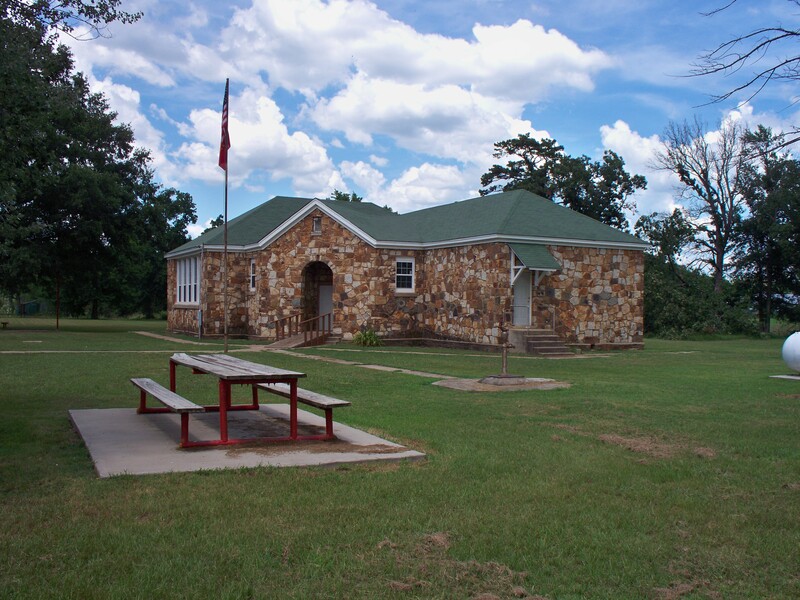 The classroom building is one of two with its particular floor plan in southeastern Oklahoma. The teacherage made it possible to hire and to retain qualified instructors. 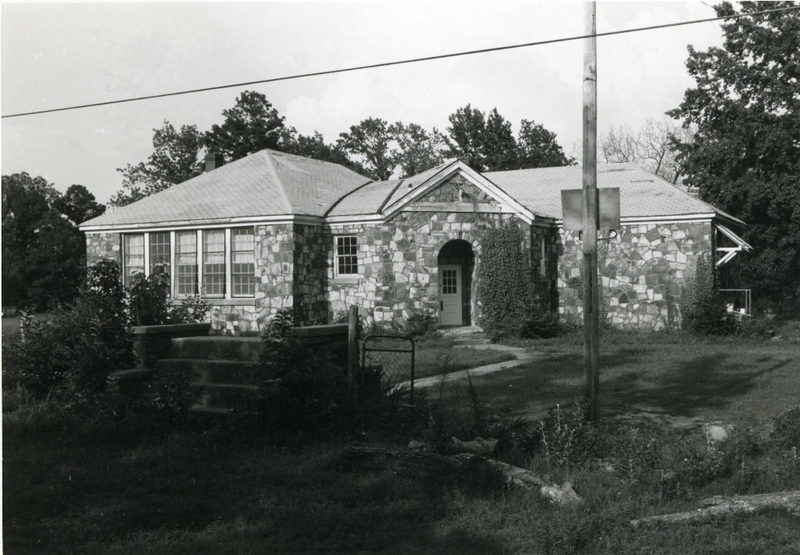 Within the community they are unique architecturally because of style, type, materials and workmanship. VERBAL BOUNDARY DESCRIPTION: From U.S. highway No. 59, follow a paved county road north from Page approximately five miles to the school property on the east side of the road, it beginning at a point 504 feet south of the NW corner of the NE 1/4, of the NW 1/4, of the SE 1/4 of Sec. 6, T 3 N, R 27 E, and the boundary running south 264 feet, west 330 feet, north 264 feet, and east 330 feet.